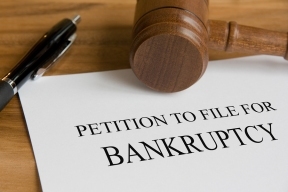 In the past few articles, we have discussed the various chapters of bankruptcy. In this article we will focus on Chapter 13. This much maligned Chapter goes by many names including consolidation and a wage earner plan. Both of these names are only partially correct. It is true that in a Chapter 13 you do consolidate most of your bills into one monthly payment. However, where this can be misleading is the fact that under a Chapter 13 a majority of your debt can be paid for pennies on the dollar. $25,000.00 in debt may only mean a repayment of $2,500.00 or in some case $250.00. Additionally while a Chapter 13 does require stable income, there is no mandate that someone be employed in order to file. Many people associate Chapter 13 with trying to hold on to a house or car instead of losing said items to foreclosure or repossession, respectively. It is true that a Chapter 13 can stop a foreclosure and allow an individual the opportunity to catch up on what they have fallen behind over a period of three to five years. Also if you are concerned about your vehicle being repossessed or even if it has been repossessed already, a Chapter 13 can get you back in the driver’s seat. Chapter 13 is a useful tool in lowering the interest rate on your car loan and in some cases reducing the amount needed to pay off the vehicle entirely. Not only is Chapter 13 effective at getting your vehicle back, it can do the same for your driver’s license. Thousands of people face license suspension due to tickets and tollway fines. Others find their license suspended due to auto accidents. Chapter 13 can allow you to pay back tickets, tolls, and judgments over a three to five year period at only a small percentage. The good news is that while the payment plan may take three+ years to complete, you can have a valid driver’s license right after filing. In addition to all the above-mentioned benefits, Chapter 13 can be a real lifesaver for those who would not benefit from the filing of a Chapter 7. While not completely eliminated, credit card debt, medical bills, utilities, personal loans, and many other types of debt, can all be eliminated for a fraction of their balance. Chapter 13 may not be the right fit for everyone. But for many, it is the financial relief they desperately need. As always, the best way to determine if Chapter 13 is the solution that is best for you is to be sure and talk to an experienced attorney. If you would like more information contact us at 312-767-0111, via email at News@zaplawfirm.com or on the web at ZAPBillsNow.com.